What Lion? What Lamb?? March is Soup Season!!! I don’t know about you, but when the crazy weather of March arrives, you can park me right in front of a steamy, fragrant bowl of soup, and you can color me happy!! That is our March newsletter’s theme this month: SOUP, SOUP, GLORIOUS SOUP! I love it with chicken, with beef, with chickpeas and bacalao. I love it with lentils, and pasta, and rice, and….well, you get the picture. In my home nothing says comfort and love like a big bowl of slurpy, satisfying soup! When I was a little girl, one of my favorite books was Maurice Sendak’s “Chicken Soup with Rice”. I never tired of reading it, in fact, I actually committed it to memory! Such has been my love affair with soup, so, here we go, sipping once, sipping twice…! I could never start a conversation about soup without talking about my Abuela’s chicken soup. That recipe has undergone numerous revisions, but my current favorite is one that I enjoyed while visiting Mexico with my family. It is a dizzyingly delicious soup with an aromatic, enriched broth, tender chicken, vibrant veggies, and some surprise garnishes that will leave you wanting for more. 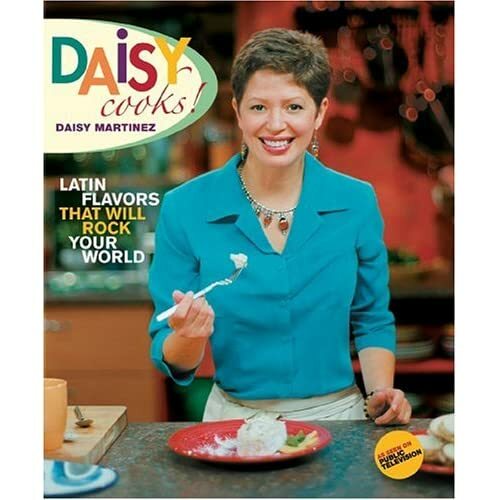 I don’t want to give the secret away, so make sure you watch the video of Daisy’s Latin Cooking 101. You’ll never look at chicken soup the same again! You might even add some favorites of your own. Let the wind blow, you’re armed to the teeth with your Chicken Soup! When Mami and Papi visit, I always leave a pot of soup simmering on the stove while I pick them up at the airport, so they’ll have a bowl of something comfy when they arrive at my house. Papi’s favorite is Split Pea Soup, and the thicker, the better. In fact Papi always says that he likes his split pea soup better on the second day, so I make sure to make enough for leftovers. I plunck a big smoked ham hock in the simmering soup, and that adds a smoky sweetness to the split peas that is nothing short of rapturous. I’m here to tell you that when that soup is ready, all you have to add is your spoon! Next on the lineup of our soup parade is my Lentil and Dominican Longaniza Soup. I often marvel at how some of the humblest ingredients can often be coaxed into the most deliciously amazing dishes…think bacalao (salt cod), beans, a perfectly poached egg, a pot of gently simmered lentils. I start mine out by browning a ring of longaniza (if you can’t find longaniza, try another sausage ring, as long as it is highly seasoned), cut into smallish pieces, and then caramelizing the aromatics (onion, carrots, celery, bay leaf, and thyme), adding beef broth, and adding my own little spin at the end. Honey, it will be like taking little sips of heaven! So there you have it! There are soups that can be served as a first course, or hearty enough to be the main attraction; the choice is yours to make! Make sure you stop by Boriquablog.com to see our fun cooking lesson videos, and make sure you leave a comment or two! 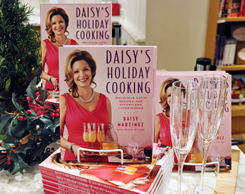 I always love hearing from you, and enjoy your tips and suggestions! See you in April!